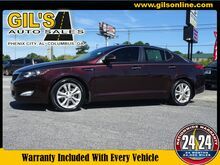 Equipped with a push button start, braking assist, dual climate control, a power outlet, hill start assist, stability control, traction control, anti-lock brakes, dual airbags, and side air bag system, this 2013 Kia Optima EX is a must for smart drivers everywhere. We've got it for $14,995. With a 5-star crash test rating, this is one of the safest vehicles you can buy. 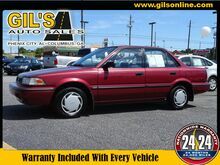 With a classic purple exterior and a gray interior, this vehicle is a top pick. Call today to test it out! This Black 1997 Jeep Wrangler Sahara might be just the SUV 4X4 for you. It has a 6 Cylinder engine. With a 5-star crash test rating, this is one of the safest vehicles you can buy. Flaunting a ravishing black exterior and a black interior, this car is a sight to see from the inside out. This is the vehicle for you! Give us a call today and don't let it slip away! Buckle up for the ride of a lifetime! This 2011 Ford Fusion SE includes a top-notch stability control, traction control, anti-lock brakes, dual airbags, side air bag system, and airbag deactivation. This one's a deal at $12,995. With a crash test rating of 4 out of 5 stars, everyone can feel secure. Complete with a beautiful black exterior and a black interior, this vehicle is in high demand. Don't wait until it is too late! Call today to schedule an appointment. 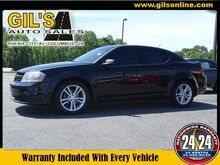 People everywhere will love the way this 2014 Dodge Avenger SE drives with features like a braking assist, stability control, traction control, anti-lock brakes, dual airbags, side air bag system, digital display, and airbag deactivation. This one's a deal at $13,995. Looking to buy a safer 4 dr sedan? Look no further! This one passed the crash test with 4 out of 5 stars. Rocking a beautiful black exterior and a gray interior, this car is a sight to see from the inside out. Don't wait until it is too late! Call today to schedule an appointment. 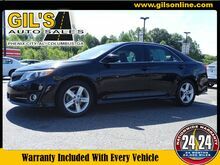 This 2012 Toyota Camry SE is complete with top-features such as the braking assist, stability control, traction control, anti-lock brakes, dual airbags, side air bag system, and airbag deactivation. This one's on the market for $14,995. You can trust this 4 dr sedan because it has a crash test rating of 5 out of 5 stars! Exhibiting a ravishing black exterior and a black interior, this vehicle won't be on the market for long. Good cars sell fast! Give us a call and schedule an appointment today! 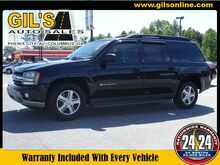 This Black 2004 Chevrolet TrailBlazer EXT LS might be just the SUV for you. It comes with a 6 Cylinder engine. This one's available at the low price of $12,995. Rocking a beautiful black exterior and a gray interior, this car is a great pick. Don't sit on this decision for long...schedule your test drive today! 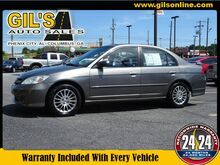 This Gray 2005 Honda Civic EX Special Edition might be just the 4 dr sedan for you. 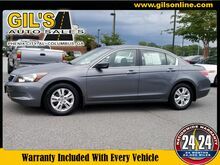 Rocking a suave gray exterior and a gray interior, this car is a great pick. This is the vehicle you have been waiting for! Call now to schedule a test drive!